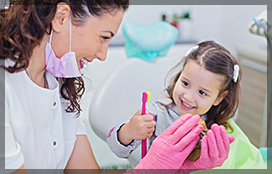 Family Dental Care clinic is a well-known dental clinic in Ottawa. In addition to treating all types of dental problems, we also focus on educating our patients so they can take proper care of their dental health at home. We have qualified and friendly professionals to help detect and treat any issues. Why Choose Family Dental Care Clinic in Downtown Ottawa? Our primary focus is on providing excellent dental care to our patients by offering the best possible solutions to all types of dental problems. Conveniently located in the heart of the city, our dental clinic is easily accessible. We cater to the needs of patients of all age groups. We provide complete dental care services including cosmetic, preventive, restorative, and general dentistry to make things easy for our patients. We have the best dentists in downtown Ottawa to provide professional dental care. Our experts have the knowledge and experience to treat any oral problem. We schedule appointments according to the needs of our patients so they can visit us as per their convenience. We strive to create a warm and welcoming atmosphere in our clinic, so our patients are at ease and feel comfortable. Our regular checkups can help you improve your oral health, detect any problems at an early stage, and guide you with your home care routine. We will work with you to prevent dental problems by helping you understand the causes of such issues and provide you with the right set of instructions. We can help you learn and follow excellent dental hygiene practices regularly that can improve your overall oral health and keep your mouth clean. We use composite fillings, also known as white fillings, to fill cavities and restore decaying teeth preventing extensive tooth damage. We have qualified endodontists who can offer the best root canal treatment to save an infected tooth and prevent any complications. We have experienced dentists in downtown Ottawa to help you improve the appearance of your teeth and smile by using the most suitable cosmetic dentistry procedures to fulfill your needs. We use advanced technology to replace a missing or extracted tooth and ensure the replacements look and function like natural teeth. Our dental procedures include partial and immediate dentures and fixed bridge. We offer many non-surgical treatments including cleaning below and above the gum line, scaling and root planing according to the severity of the gum infection. We offer dental surgeries for many problems such as tooth decay, gum disease, impacted teeth, wisdom teeth removal, and more according to the needs of our patients. We can help you straighten your crooked teeth and provide necessary adjustments by offering Invisalign braces that are clear and almost invisible. We use the innovative Spa-dent system for safe and effective teeth whitening by removing any stains. For more information about our services and qualified dentists in downtown Ottawa, get in touch with us by calling 613-736-5000. You could also fill out our online form if you have any concerns.